In addition to recording the jubilee with her Kodak Instamatic Camera, Caroline also captures her carefree summer days of sipping RC Cola and visiting friends. Illuminating illustrations, interspersed with camera snapshots, portray each unforgettable moment. A glossary defines the terms used in the book. Karyn W. Tunks received a BS in early childhood education from the University of South Alabama, where she also received an MEd. She later obtained her PhD from Florida State University in the same subject. 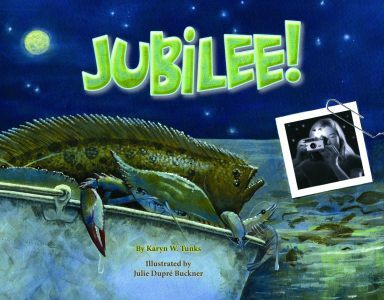 Tunks is a member of the International Reading Association, the National Council of Teachers of English, and the Alabama Association for Young Children. She lives in Fairhope, Alabama. A former art director of Lee Michaels Fine Jewelry, Julie Dupré Buckner illustrates and teaches an abstract expressionist painting class for beginners. She received a BFA from Louisiana Tech University and is a member of the Portrait Society of America. 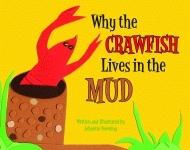 Buckner also illustrated Pelican’s Clovis Crawfish and Echo Gecko, Clovis Crawfish and Silvie Sulphur, and Clovis Crawfish and the Twin Sister. She lives in Plaquemine, Louisiana.